Fund flow for hydropower projects increases in the name of combating climate change but what about social and environmental safeguards? Climate change and growing concerns over coal-fired power plants have pushed hydropower development back in the limelight. Hydropower projects had been put on the backburner by many countries after a number of them got mired in controversy. During the 1990s, dams like the Yacyreta dam in Argentina, Sardar Sarovar Dam in India, Kariba Dam on the Zambezi River in Africa, which were funded by the World Bank, were questioned over their social and environmental impact and their effectiveness as a development tool. But things have changed now and the World Bank lending for hydropower, according to a report by UK-based International Institute for Environment and Development (IIED), increased four-fold from a three-year average of US$250 million per year in 2002-04 to US$1 billion by 2008. The World Bank Group suggests annual lending of US$2 billion for hydropower projects will be possible in the coming years. But, it has also been noted that only around 10-15 per cent of new hydropower dams around the world are covered by dam-specific international environmental and social safeguard processes. Therefore, in the new funding landscape, a question that looms large is that is the bar that has been set for safeguards to get finances for the dams too high or is it lack of commitment and political interests that ignore safeguards in the name of combating climate change? According to the report, the framework developed by the World Commission on Dams (WCD) in 2000 still remains a milestone for national, regional or donor-led international bodies. It is to be noted that about 52,000 large dams have been built over the last century and more. 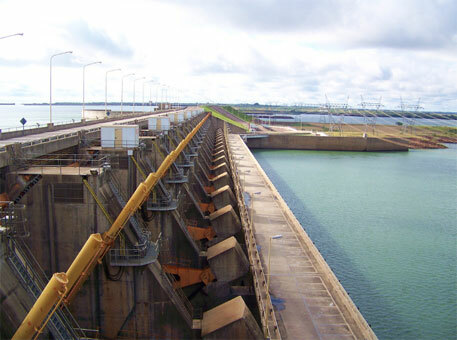 According to a 2009 World Bank report, 91 per cent of the economically feasible hydropower potential worldwide was in developing countries. 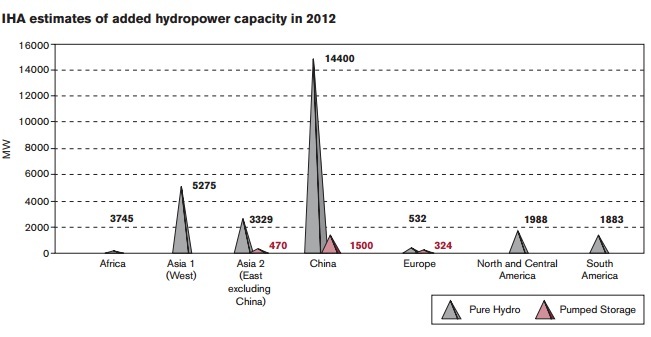 IHA report, 2013 said that Africa accounted for 12 per cent of new hydropower capacity additions in 2012. 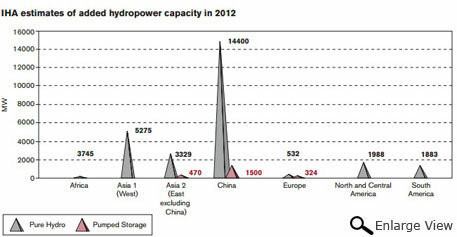 Although hydropower investment is ‘lumpy’ year-to-year, in Asia it accounted for more than 73 per cent of the 31,162 megawatts of global capacity added in 2012. Above the national standards lies an array of mandatory standards that have been adopted by international and regional lending agencies. Typically, access to international funds means meeting standards that are additional to, and higher than national standards. While some stakeholders, such as the Water Resources Coordination Centre of the Economic Community of West African States (ECOWAS), have since followed the pathway suggested by WDC, others have developed voluntary tools to advance best practice around individual dams. For example, since 2004 the International Hydropower Association (IHA) has led the development of a Hydropower Sustainability Assessment Protocol (HSAP) with a view to establishing an industry code of practice. Since then, many developments have generated an increasingly complex landscape of regulatory and voluntary standards. Despite all these measures in place, a considerable number of dams are flouting norms. In such a case, according to IIED report, carbon financing could be an option. For example, China has over 60 per cent of hydropower registrations under the Clean Development Mechanism (CDM) and possibly other carbon finance trusts and initiatives to date. This becomes necessary because a price on carbon helps shift the burden for damage from greenhouse gas emissions back to those who are responsible for it and who can reduce emissions. The report emphasises that strategies to promote improved social and environmental outcomes from hydropower dams should also consider how to mainstream best practices into national legislation and capacity as part of the longer-term approach. These legislation may act as “minimum standards.” Another highlight in the report is that dams with low installed capacity but large reservoir areas are most at risk. Also, multiple small hydropower projects may be packaged as a single project, making measures of cumulative basin impacts appropriate. Measuring and reflecting stakeholder perceptions of risk and uncertainty, and take into account the best available information and analysis, as well as societal values, as they all evolve over time can lead to best possible results, the report says.